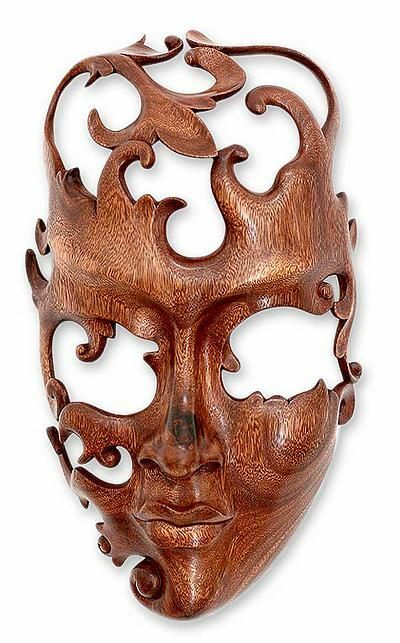 By Wayan Rendah, this enigmatic mask is a song of love. Like swirling ribbons, suar wood tendrils lightly caress the face – samanea saman – a lover's face with openings carved in the eyes. "Her eyes, the window of her heart, are on him… with him in her thoughts in every moment," the artisan muses.